Kegco's HBK163B-1 Single Faucet Home-Brew Kegerator is the perfect way to share your homebrew beer with friends and customers. 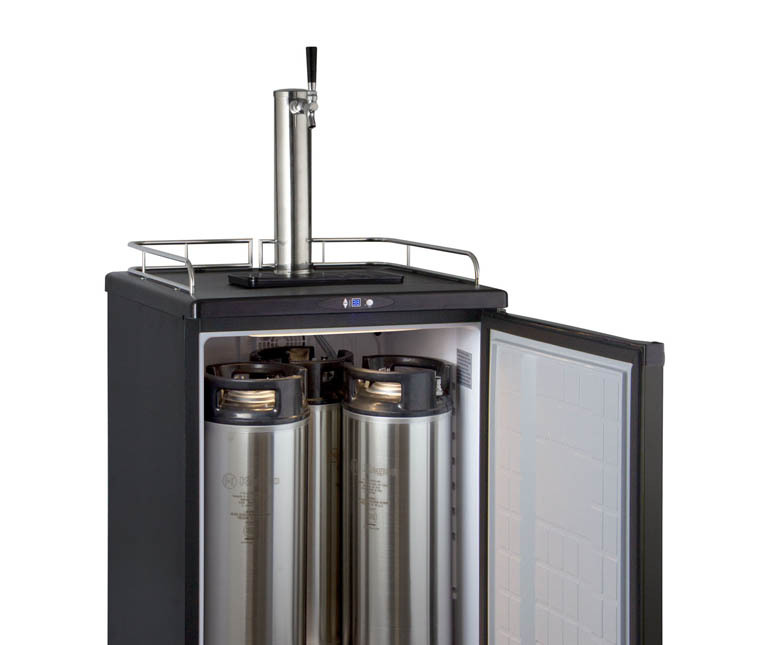 Specially designed for use in both commercial and residential settings, this keg dispenser is quiet and energy efficient enough for use in the home yet durable enough for use in busy bars and restaurants. This freestanding homebrew kegerator boasts a beautiful matte black cabinet with matching field-reversible door. For added convenience, the HBK163B-1 comes packed with helpful features like a removable built-in drip tray, a chrome guard rail, and easy-rolling casters. Within it's spacious 5.8 cu.ft. cabinet, this keg cooler can accommodate one full size, pony, or quarter slim keg, two 5 gallon commercial kegs, three ball lock kegs, or two pin lock kegs. 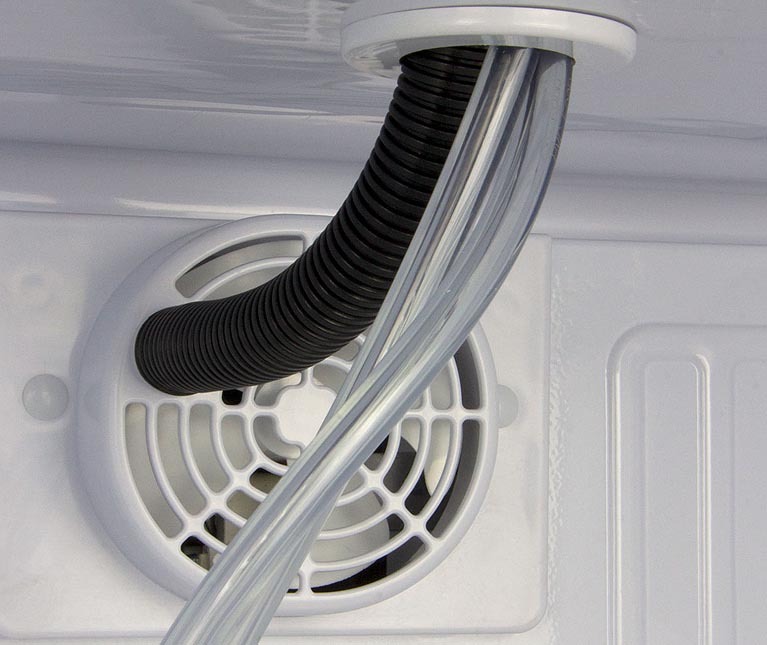 It can also hold a 6 gallon bucket or carboy when used as a fermentation chamber. A steel interior floor mat evenly distributes the weight of your kegs to help ensure long-lasting durability. When you're not storing and dispensing kegs or fermenting home brewed beer, this versatile unit can be converted into a regular all-refrigerator using the three included wire shelves, giving you the freedom to store food and other beverages. 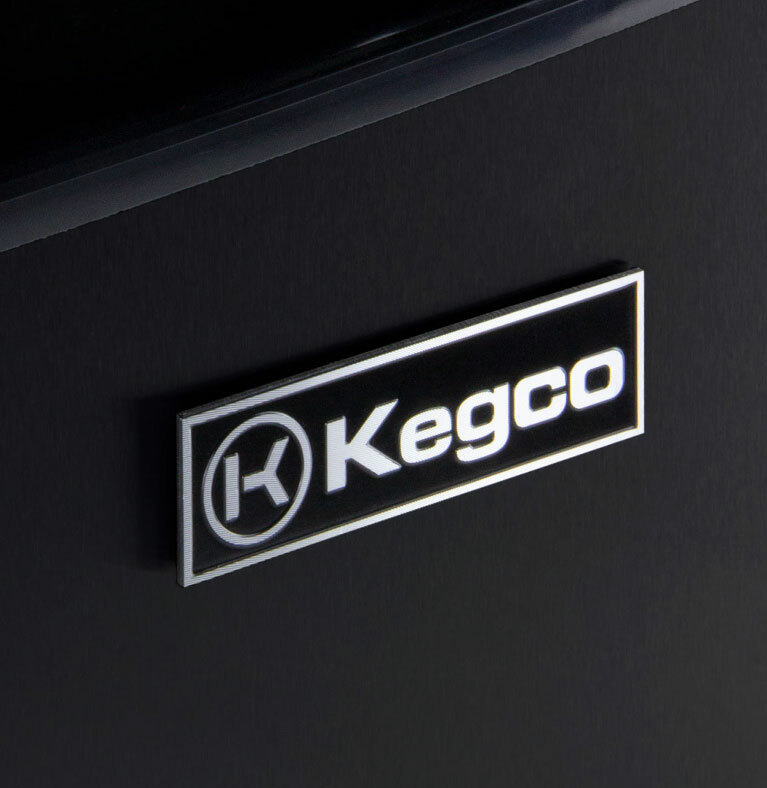 This keg cooler has intuitive digital controls and a wide available temperature range that allows you to precisely set the temperature between 32 and 75 degrees Fahrenheit. Fan-forced cooling and an air cooled draft tower help maintain an ideal refrigerated storage environment and ensures that every drop is ice cold from the keg to your glass. 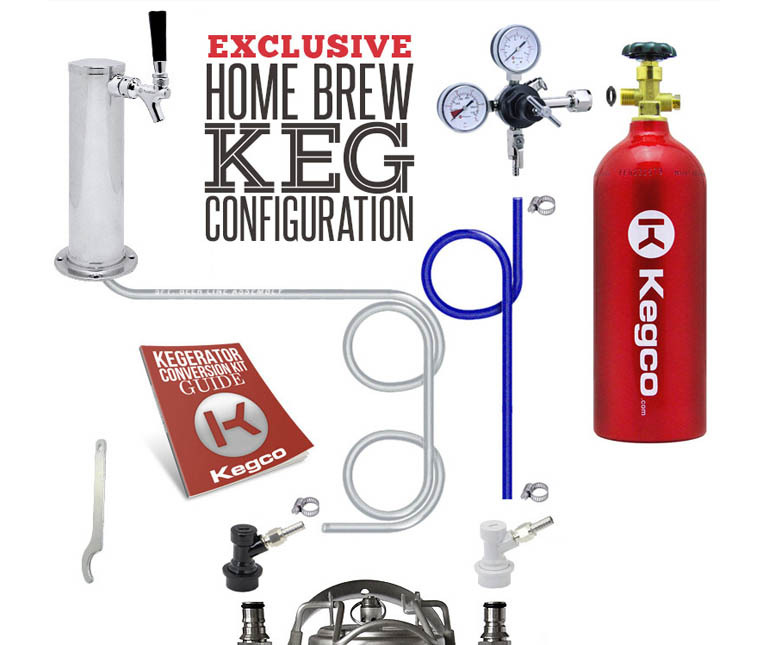 This home-brew beer dispenser comes complete with Kegco's Exclusive Premium Home Brew Dispense Kit. This single tap ball lock dispense system has everything you need to begin dispensing your kegged home-brew beer, including a polished stainless steel draft tower with one chrome faucet, an empty 5 lb. CO2 tank with glossy red finish, a dual gauge CO2 regulator, and a complete ball lock home brew tap set.